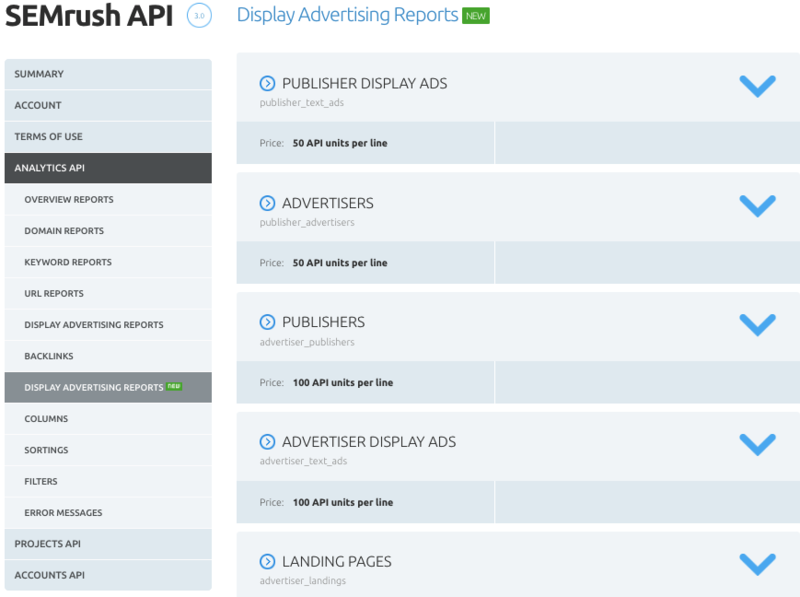 Another update for Display Advertising: now you can integrate the tool’s data into your apps and websites through the new public API. Now we gather a lot more data than before! Be aware, that the endpoint has been changed as well. Display Advertising is gaining momentum! Keep up with SEMrush and don't forget to send your ideas and suggestions at [email protected].